The retail system in ROSS is designed to require nearly zero training. 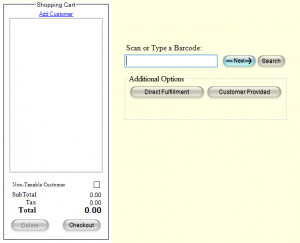 When logging in, you are presented with a single box to scan nearly any barcode needed to begin a sale, or search your product database. 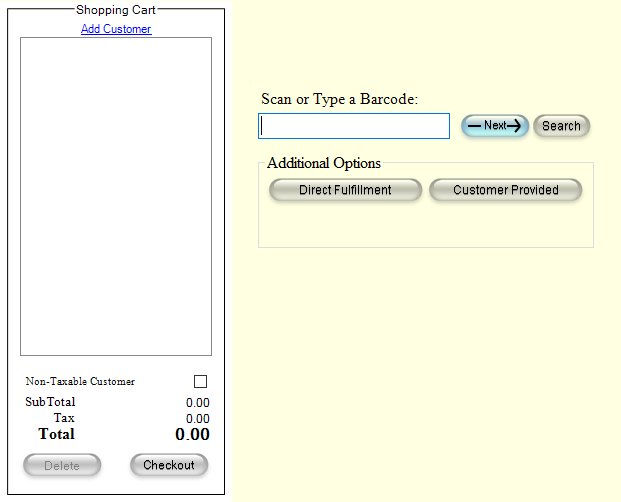 While adding the items to your cart, ROSS will take you step by step through the sales process. For phones, this involves pricing, selecting the correct plans and addons, gathering the customers information etc. For Accessories, this includes pricing and quantity. To exchange an accessory, follow the directions from Returns above, but before checking out, add the new accessory to the shopping cart as well. To exchange a phone, follow the directions from Returns above. You will be presented a box to enter an exchange ESN/IMEI. When this is entered, the system will automatically create a sale for that phone, and will link it to the previous activation so all activation reporting remains correct. If you have enabled Direct Fulfillment for any of your carriers, there will be a direct fulfillment button available here, and there is always the option to activate Customer provided equipment. Lastly, if you want to jump right to entering a lead or checking credit all you need to do is select “Add Customer” from above the shopping cart.